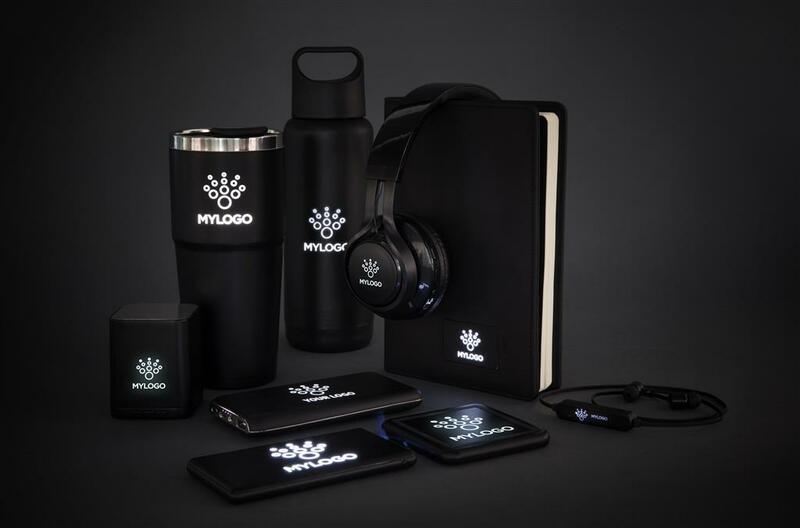 Display your logo in a unique way. 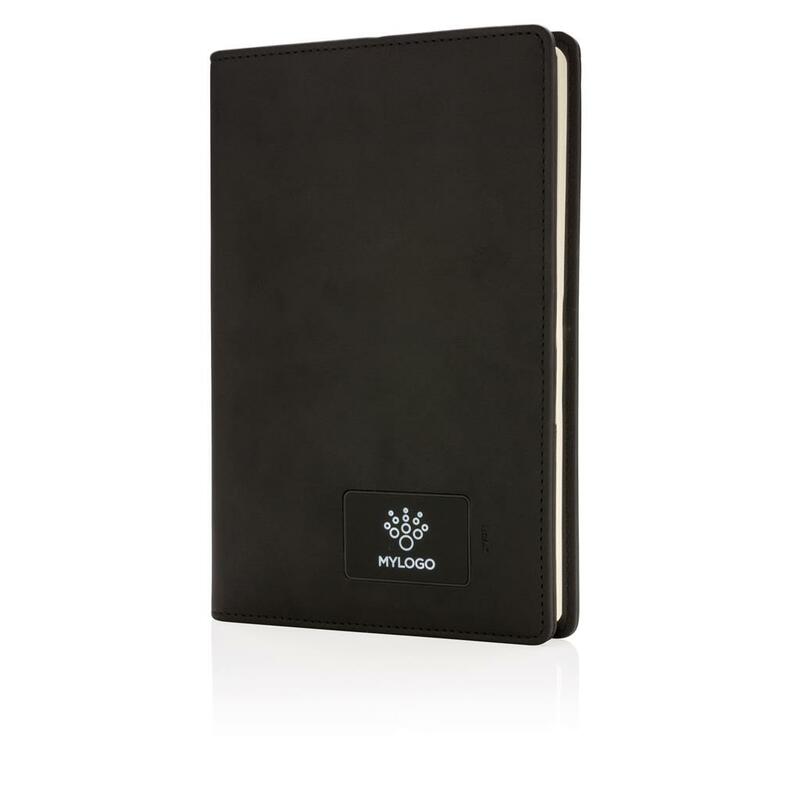 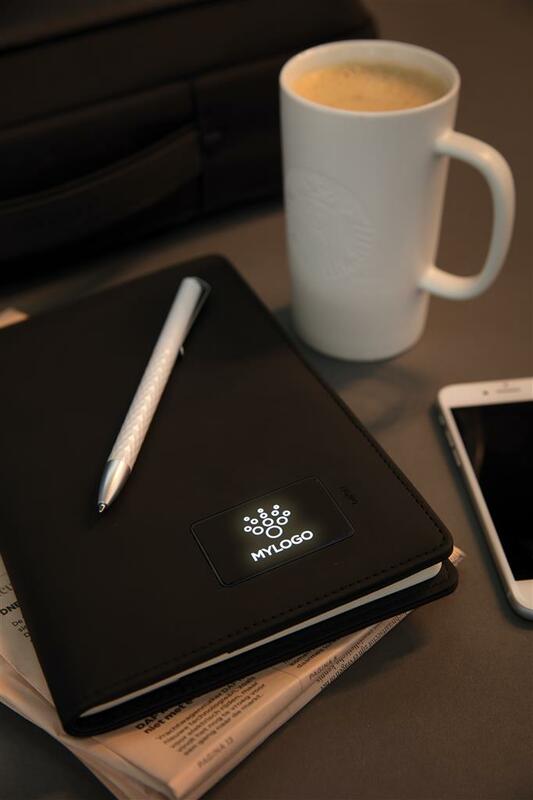 The front of the notebook cover contains a light to light up your logo. 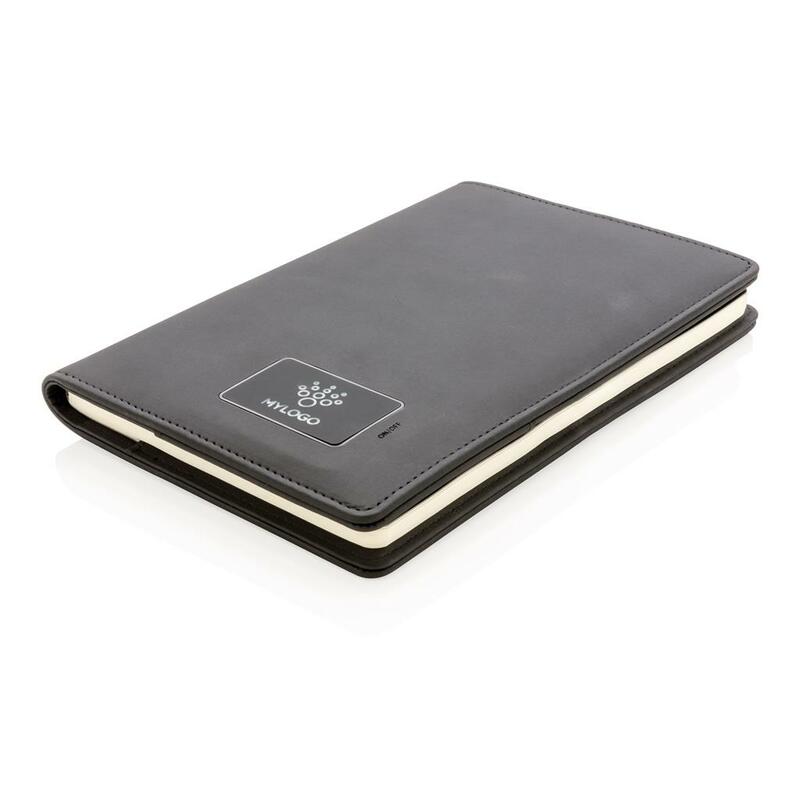 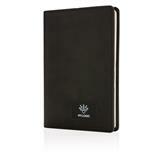 Including two CR 2032 batteries and removable notebook with 128 lined cream coloured pages of 80 g/m2.